This AMI contains a ready-to-run IBM Integration Bus Standard Edition image v9.0and MQ v8.0 on Linux. In order to use this image, you need to launch it with your selected type, and log in via SSH to configure IIB and activate (start) the service. 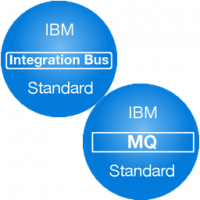 Install Your IBM Integration Bus with just a few clicks, licensed and ready to go! By using this bundle You are renting Your IBM Integration Bus license on an hourly basis. You get Your support from MidVision, a Premier IBM Business partner and supplier of this bundle with Amazon EC2 and IBM.